Every day, a substantial part of South Carolina’s nearly five million residents get in a car to travel. We drive to our jobs to work hard, and we drive to school to educate ourselves or our children. We drive to the grocery store, to the mall, to visit friends and family, and sometimes, we just drive to get away from it all for a while. But a significant hazard faces the drivers in our great state every time we get behind the wheel: drunk driving accidents. Any driver suspected of driving under the influence of drugs or alcohol may be tested by law enforcement as a condition of holding a driver’s license. The testing may be performed by breath, by blood, or by urine analysis. Refusal to take this test can result in an immediate suspension of driving privileges of up to six months. The legal blood alcohol concentration (BAC) for South Carolina is 0.08 percent, meaning anyone at or above this amount will be found guilty of driving under the influence and face fines, jail time, and losing his or her license. The numbers show that alcohol is a severe problem on our streets. The Centers for Disease Control and Prevention’s statistics on drunk driving in the Palmetto State are nothing short of shocking. Between 2003 and 2012, over 3,800 people were killed on our roads in car accidents involving a drunk driver—that’s over 380 people per year. The average number of DUI deaths in 2012 in South Carolina was 7.6 people out of 100,000, over double the national average. When someone is hurt or killed in a DUI accident, it’s important that the responsible parties be held accountable. Criminal charges may be filed, but often, that’s little comfort to the victims. Some drivers may never even face jail time, just a fine and temporary license suspension. What about the victims and their families, who are left facing medical bills, lost wages, rehabilitation, or even funeral costs? There may be other liable parties, as well. Your personal injury lawyer can help you find the evidence that you need to seek compensation from every liable party, and decide if a lawsuit is necessary. As the lawsuit gets underway, your lawyer will also seek a deposition not from only the defendant, but also from any other witnesses who may have known that the defendant driver was drunk or intoxicated when the crash happened. Sometimes, victims express reluctance or guilt about filing a claim against a drunk driver’s insurance policy. Never feel shame about seeking compensation from insurance! That’s what insurance companies are there for, and why every driver is required to carry an insurance policy. That being said, when dealing with insurance companies, it’s best to minimize your contact, and watch what you say. Insurance companies don’t make money by paying out claims, and they will use any excuse to minimize the amount of your claim. It’s wise to avoid giving recorded statements, and consulting with your car accident attorney before speaking to an insurance company is recommended. If the company tries to offer you a settlement right away, don’t be pressured into accepting it. Take your time to think it over, and if you’re not satisfied with the amount or are worried that it might not be enough, discuss your options with your attorney. Unfortunately, many times DUI accidents don’t just result in injuries. The National Highway Traffic Safety Administration (NHTSA records for 2014 show that out of 824 traffic fatalities in South Carolina, 40 percent were alcohol-related. When alcohol is a factor in an accident that costs the life of a loved one, family members may be able to press a wrongful death lawsuit in civil court against the driver. Any bar or restaurant that served the intoxicated driver, if he or she was visibly intoxicated, may be held liable in civil court, too. In some cases, criminal DUI charges may not be admissible as evidence in a wrongful death lawsuit. However, the fact that there was enough evidence for a conviction often means that there is enough evidence for a civil case, and may be possible to show that the driver’s alcohol consumption was a factor in the accident. 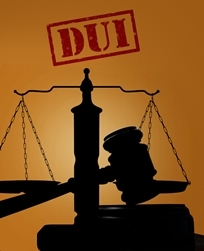 Even if the criminal DUI charges were dropped, though, the family still has the right to file a civil lawsuit, and if a DUI conviction may not be admissible as evidence, the dismissal of charges may not be admissible, either. If you have been hurt or lost a loved one in a DUI accident, please accept our deepest sympathies. Drunk driving is a serious problem in our state, and we want to help victims seek the justice they deserve. If you have any questions or concerns about an insurance claim, wrongful death lawsuit, or other legal rights that you have as a survivor of a drunk driving accident, please call us today. You can reach our Columbia office for a free consultation about your case at 803-790-2800.